Selecting the right hotel for your vacation is no easy feat. To help minimize your time scouring the World Wide Web in search of the best property, the editors at U.S. News & World Report did the research for you. Selecting the right hotel for your vacation is no easy feat. To help minimize your time scouring the World Wide Web in search of the best property, the editors at U.S. News & World Report did the research for you. 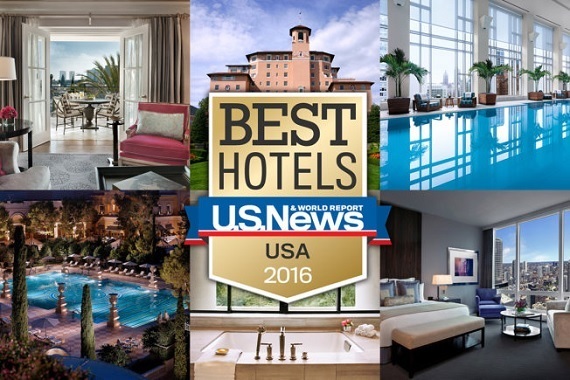 Using a comprehensive methodology that takes into account expert opinions, traveler reviews and industry awards, our editors created an extensive list of the top hotels in the USA. Out of the 1,775 U.S. properties evaluated this year, these are the top 50. 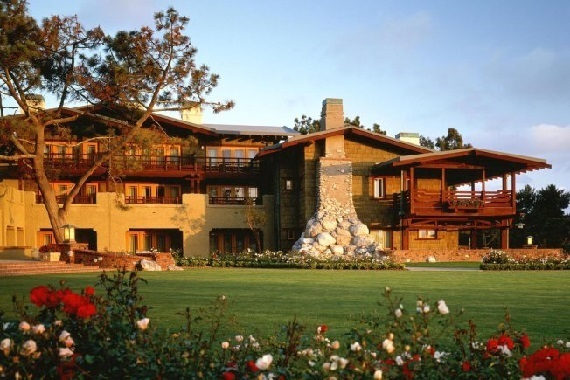 According to recent guests, this AAA Five Diamond Fairmont property lives up to its name in more ways than one. 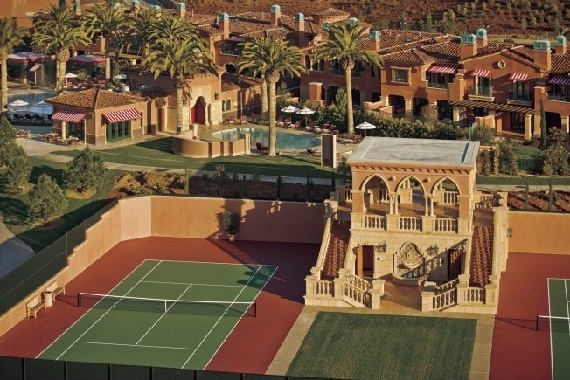 Outfitted with an 18-hole championship golf course, an award-winning spa and pro tennis courts decked out in Mediterranean-style architecture, it's easy to see why San Diego's largest luxury resort bills itself as grand. 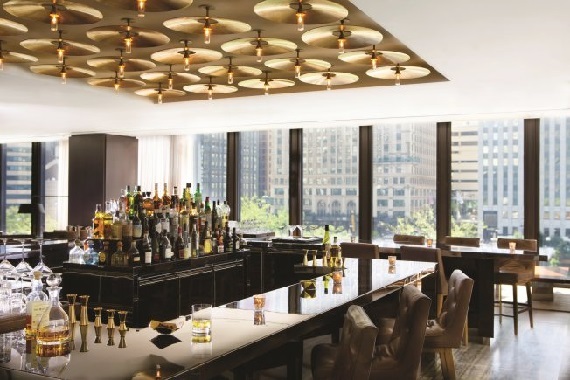 Situated on the Chicago River, the Trump International Hotel & Tower Chicago earns high marks from guests for its location in the heart of the Windy City. But an enviable address isn't the only thing this Trump outpost has going for it. The hotel's impeccable style, large rooms and excellent customer service consistently impress travelers, helping it earn a spot on the Condé Nast Readers' Choice list. This historic Philadelphia property, located across the street from Rittenhouse Square, is a traveler favorite thanks to its superb customer service and elegant interiors. 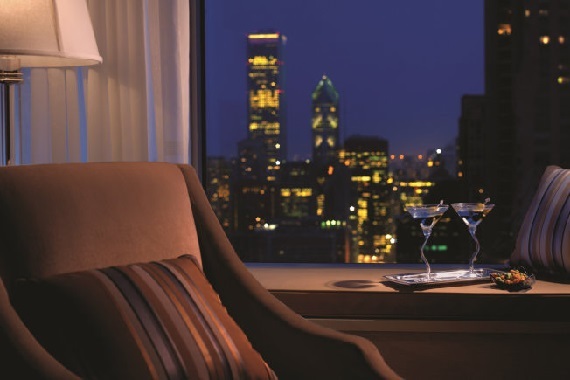 Along with a spa and an award-winning restaurant, The Rittenhouse Hotel specializes in family travel, offering complimentary in-room movies for the kiddos and personalized pet bowls for guests' four-legged friends. 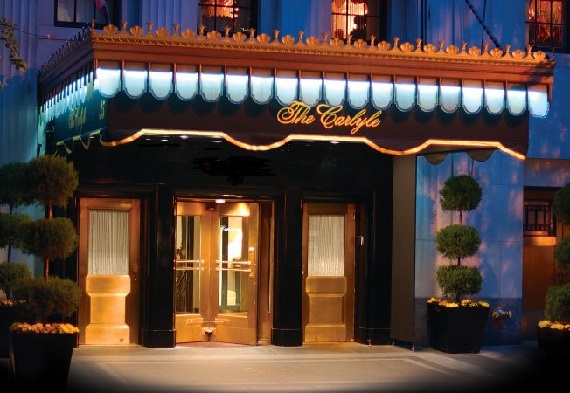 A New York institution for 86 years, the Carlyle is more than a place to hang your hat - it's an experience in itself, according to past guests. 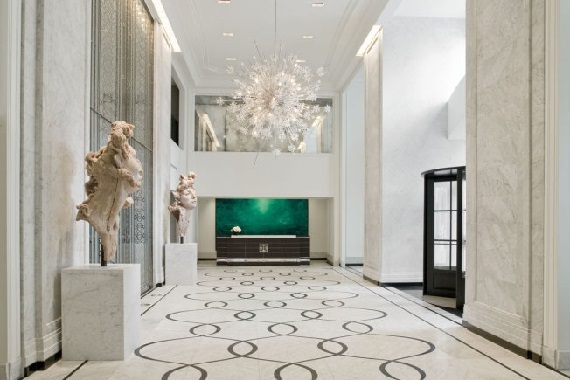 With English-style decor, an attentive staff and an unbeatable location next to Central Park on the Upper East Side, this AAA Four Diamond award winner is the epitome of big-city luxury. If you're looking for a quintessential Miami vacation experience without being bombarded by the flashy atmosphere of South Beach, this Mandarin Oriental outpost is your answer. 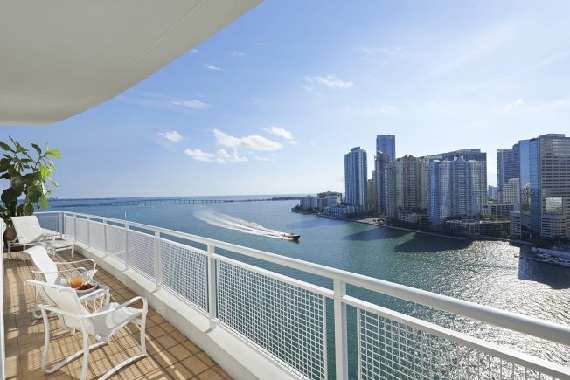 Previous guests praise the AAA Five Diamond property's amenities, including the spa, the waterfront infinity pool and the private beach in Brickell Key. 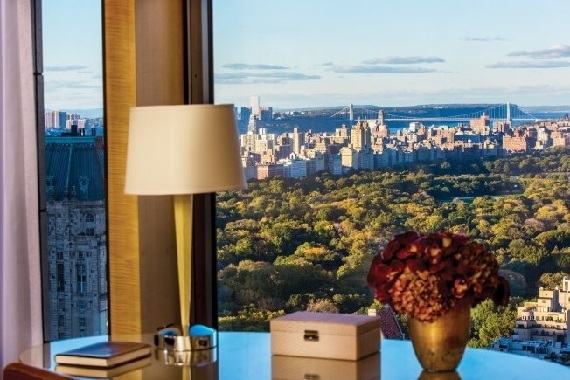 Prime New York City real estate isn't the only standout feature of this Mandarin Oriental property (though the views from its rooms, which occupy floors 35 to 54 of the Time Warner Center certainly don't hurt). Aside from its coveted address at Columbus Circle, guests exalt this Mandarin Oriental's comfortable accommodations, gracious staff and the modern American cuisine served at Asiate. Previous guests praise this Sunny Isles Beach resort's Mediterranean-style architecture, with some describing the property as "dreamy." Aesthetics aside, Acqualina is a playground for the young and old, offering everything from a world-class spa to pizza making classes for kids, making it easy to see how it earned a spot on the TripAdvisor Travelers' Choice list. Despite the property's location along the Strip, the Four Seasons Hotel Las Vegas manages to achieve a relatively calm atmosphere, according to past guests. Though visitors are impressed with all of the Four Seasons' amenities, the consensus among travelers is that the guest room views of the Vegas skyline are a cut above the rest. The Four Seasons brand's famous standard of service doesn't fall short at this Washington, D.C. location. Guests applaud the staff for going out of their way to fulfill special requests and are consistently impressed by its ideal location at the edge of Georgetown, making it easy to see why it claimed a spot on the Condé Nast Readers' Choice list, among other accolades. Well-appointed rooms are among the many positive remarks guests give this AAA Five Diamond property. 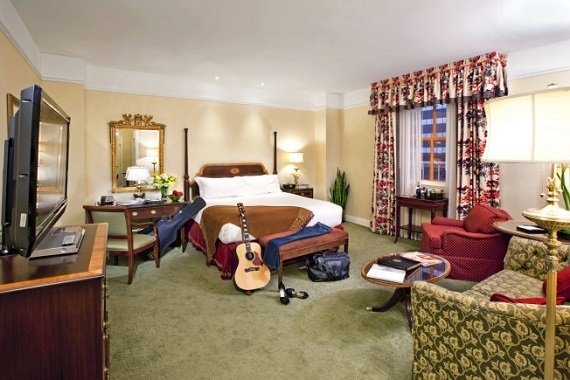 Other notable aspects previous guests praise include the property's location (just blocks from Rockefeller Center, Central Park and the Museum of Modern Art) and its five-star customer service. 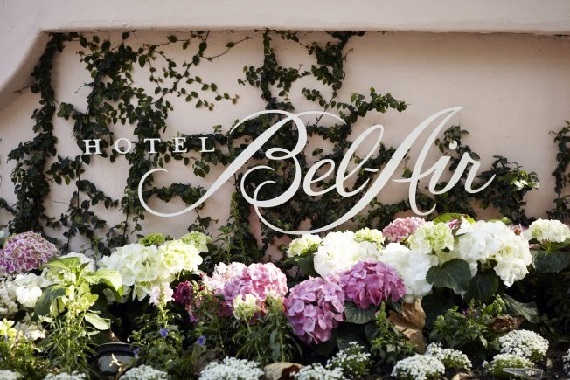 Set within 12 acres of gardens, the Hotel Bel-Air gives guests the illusion they're in a far-flung land rather than the second-biggest city in the U.S. 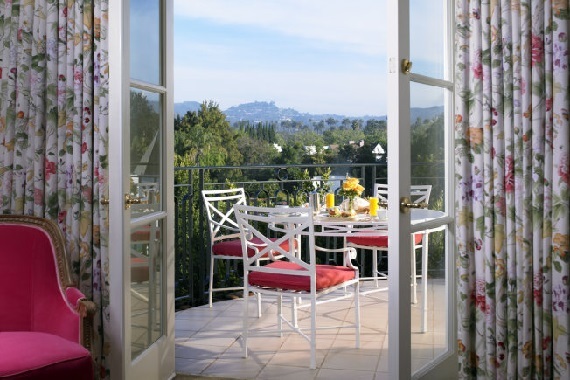 Along with its tranquil atmosphere, the property's Hollywood-inspired decor and attentive customer service makes for the perfect Southern California escape. 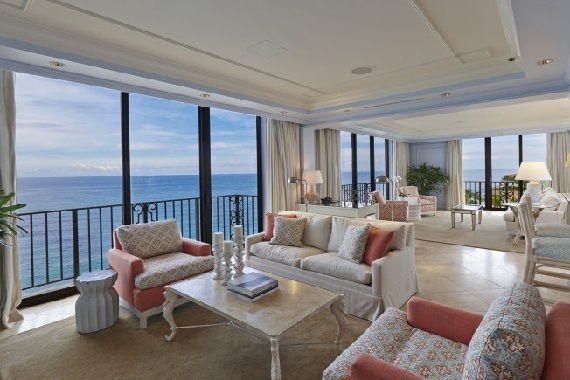 Guests tend to describe this Palm Beach resort as paradise. Apart from sitting on 5 oceanfront acres, the property also offers four waterfront pools, complimentary beachside fitness classes and an 18-hole golf course. 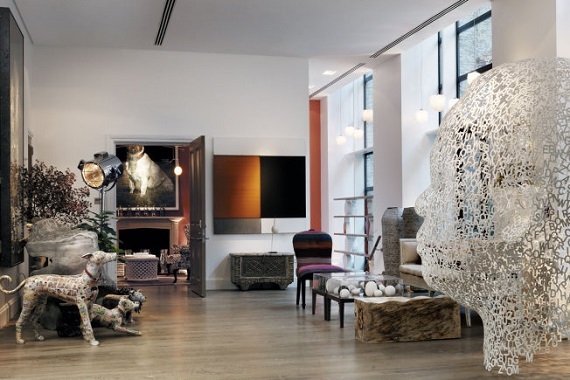 The Crosby Street Hotel could easily be mistaken for a museum thanks to its impeccable decor. When you're not ogling at the hotel's art pieces on display, you can take a stroll through the on-site sculpture garden, have a cup of afternoon tea or catch a film at the hotel's private movie theater. 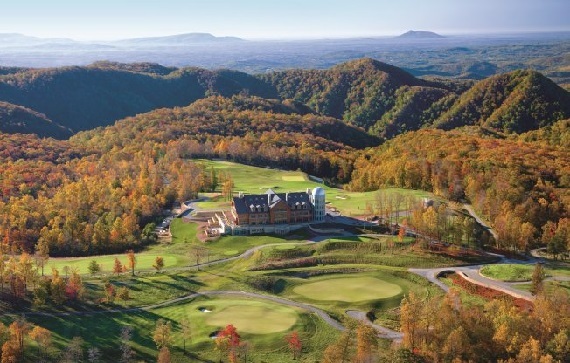 Claiming a TripAdvisor Travelers' Choice Award and a spot on the Condé Nast Readers' Choice list, Primland is a crowd favorite. This LEED-certified property located in Virginia boasts more than 12,000 acres for visitors to explore as well as opportunities for horseback riding, tree climbing and other on-site recreational activities. A Forbes Travel Guide Four Star Award recipient and a AAA Four Diamond Award-winning property, this historic Little Rock hotel offers Southern hospitality at its finest. Aside from the excellent customer service, guests rave about the large rooms and the delectable fare at the Capital Bar & Grill. What this hotel lacks in size (it offers just 24 rooms), it makes up for in just about everything else. 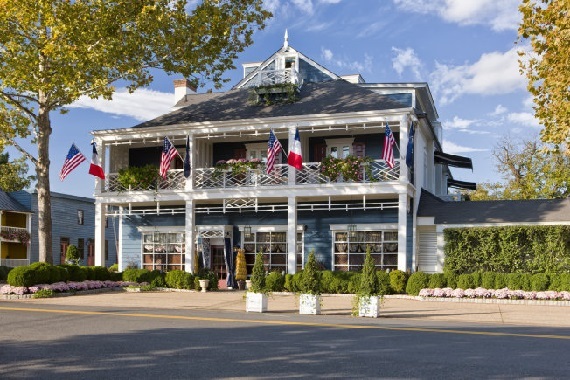 Guests love the property for its colonial charm, personalized customer service and outstanding cuisine from James Beard Award-winning chef, Patrick O'Connell. Guests love this AAA Five Diamond Award-winning resort because it successfully caters to both children and adults. Kids can run amok on the water slides in Explorer Island (a family-friendly playground) while parents hit the links at the Tranquilo Golf Club or unwind at the 13,000-square-foot spa. This Colorado Springs hideaway - a AAA Five Diamond Award recipient for 40 consecutive years - is a standout among guests for its picturesque location near the southern end of the Rockies. Along with its luxurious amenities, such as a spa and three swimming pools, The Broadmoor has a whopping 19 dining options, 25 retail stores and 54 holes of championship golf. 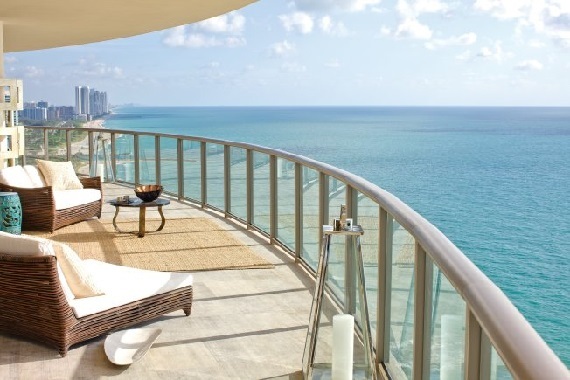 The St. Regis Bal Harbour Resort's amenities, including oceanfront balconies and infinity pools, along with its desirable location within walking distance of Miami Beach, inspire guests to return year after year. Factor in the property's butler service, 24-hour concierge and on-site restaurant inspired by Michelin-starred chef Jean-Georges, and it's easy to see why the property is one of the highest-rated hotels in Bal Harbour. 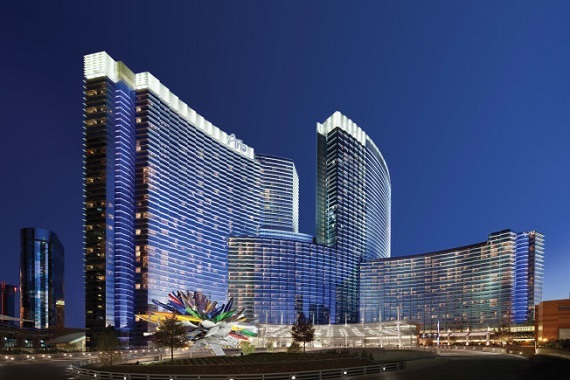 Along with its enviable address in the middle of the Las Vegas Strip, the ARIA Resort & Casino is highly recommended by guests for its swanky style and modern in-room amenities (think: bedside touch-screen consoles that remember your temperature and lighting preferences). The resort is also connected to the Shops at Crystals and features a casino as well as five 24-hour bars, so guests don't even have to leave the hotel to experience all that Sin City has to offer. 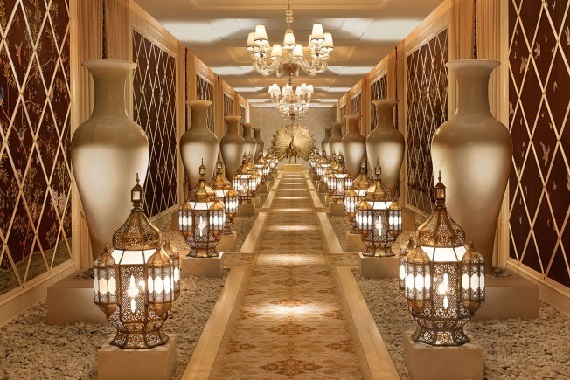 This Vegas hotel has collected more Forbes Travel Guide Five Star awards than any other resort in the city. And guests can attest to this standard of excellence. Whether they're admiring the property's spacious rooms (which start at 640 square feet) or the lavish decor, travelers are continually impressed by the hotel. This property's location, perched atop a bluff overlooking the Pacific Ocean, consistently wins over guests. The on-site golf course, which is considered to have some of the toughest tee times to secure in San Diego, also wows visitors. 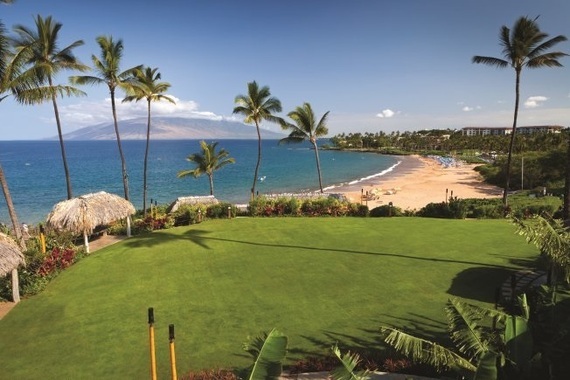 When you combine Four Seasons' renowned standard of service with Maui's breathtaking landscape, you've got one beloved resort on your hands. 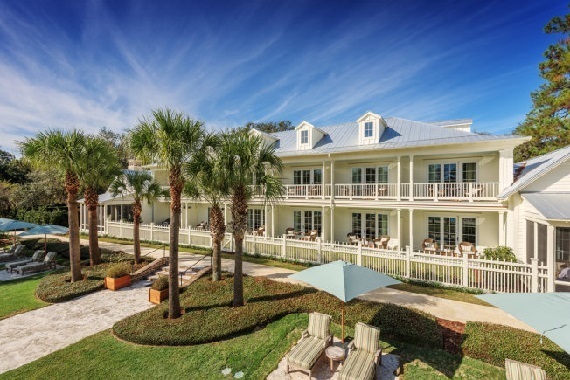 Guests are enchanted by the property's beautiful grounds (especially the nearby beach) and rave about the food served at the three on-site restaurants. Recent guests describe their experience at The Inn of the Five Graces as unforgettable. The decor is a feast for the eyes, the staff is superb and the location is convenient for those interested in reaching points of interest in downtown Santa Fe, New Mexico. 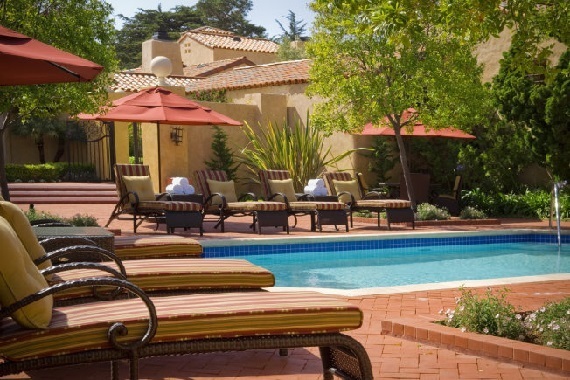 Climbing up 12 spots from 2015, Casa Palmero is the highest-rated hotel among Pebble Beach's famous resort properties. This Mediterranean-style hotel is cherished for its intimate atmosphere and well-equipped accommodations (think: wood-burning fireplaces and oversized soaking tubs). 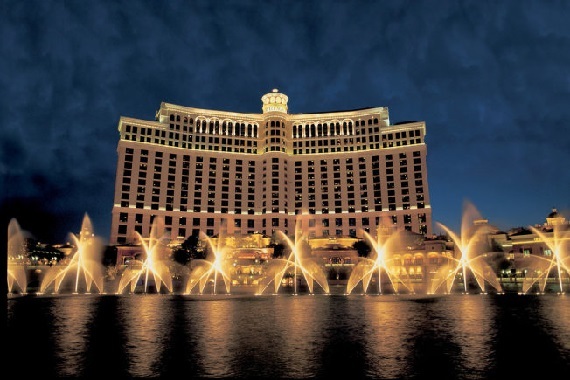 The Bellagio is a Vegas institution. Aside from its famous fountain show, the hotel boasts standard luxury amenities as well as Sin City staples, including a casino, 24-hour bars, countless on-site restaurants and shows. 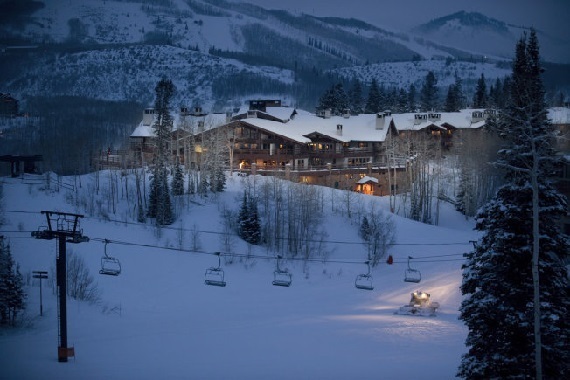 Rising up nine spots from last year's Best Hotels in the USA list, the Stein Eriksen Lodge Deer Valley earns high praise among both experts and guests. Recognized as a AAA Four Diamond property, the Stein Eriksen Lodge not only features ski-in ski-out access, but also boasts a ski locker room and ski valets for visiting powder hounds. It's not every day you can say that the president of the United States is your neighbor, but at The Hay-Adams, you most certainly can. 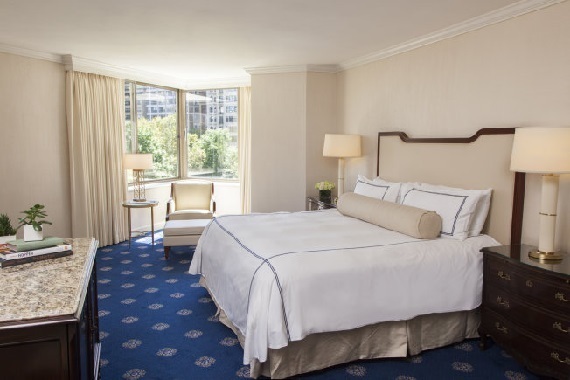 Located across the street from the White House, this AAA Four Diamond hotel boasts a quintessentially Washington, D.C. experience, with colonial-style decor and fine dining galore. The historic Hermitage Hotel is considered to be a local landmark in the Music City. Guests are consistently charmed by the hotel's attentive staff, elegant interiors and convenient location in downtown Nashville. And with the staff's genuine Southern hospitality, the hotel has attracted a celebrity clientele, welcoming everyone from Babe Ruth to John Dillinger. 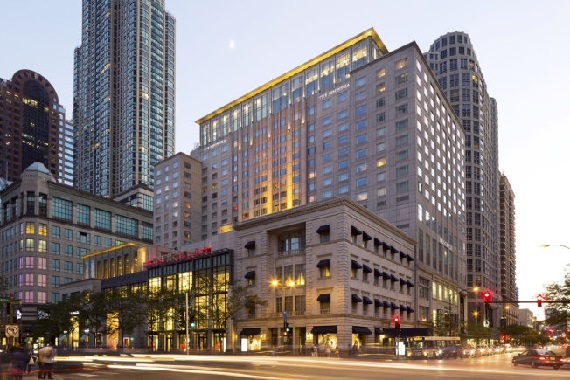 Those looking to get some serious shopping done in Chicago will appreciate the Peninsula's location along the city's Magnificent Mile. This AAA Five Diamond hotel also garners praise from previous guests for its warm staff members and high-tech accommodations (rooms feature a bedside remote command station that controls the lights, TV and thermostat). 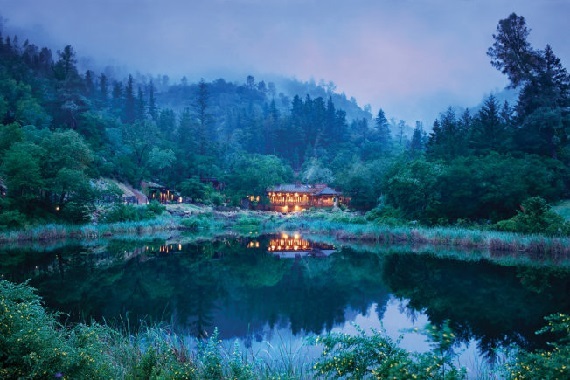 If you were ever unsure of where to go for your honeymoon, Calistoga Ranch should be at the top of your list. Tucked away in the lush hills of the upper Napa Valley, this romantic retreat features private lodges equipped with outdoor fireplaces, sun decks, showers and gardens. 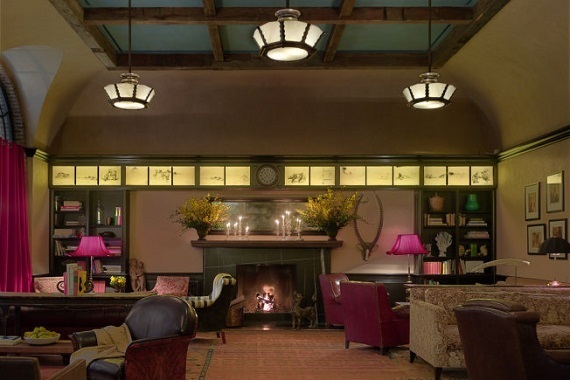 According to recent guests, the Greenwich Hotel seamlessly achieves what many other hotels can't: the ability to make you feel as if you aren't staying at the hotel, but rather at home. Travelers attributed this to the hotel's quiet atmosphere, cozy (and incredibly stylish) rooms and inventive comfort dishes at Locanda Verde. 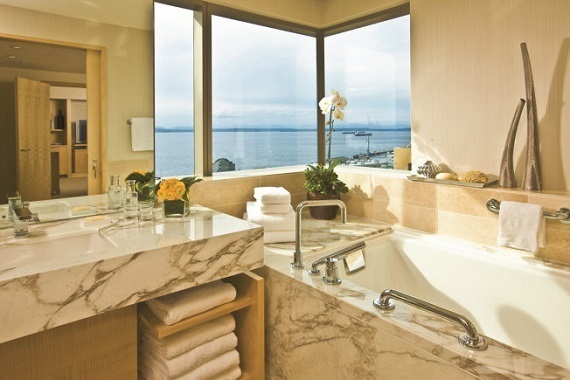 If you're one of those travelers who loves to be in the heart of the action, you can't get more central than the luxurious Four Seasons Hotel Seattle. Located just two blocks from the waterfront, guests are within walking distance to top attractions including Pike Place Market and the Seattle Aquarium. This Honolulu resort is the most internationally acclaimed hotel in Hawaii, earning a AAA Five Diamond rating and a Forbes Travel Guide Four Star Award, to name just two of its many accolades. And considering its setting on the shores of Honolulu, as well as its award-winning spa and alfresco dining options, it's clear why Halekulani is such a winner. 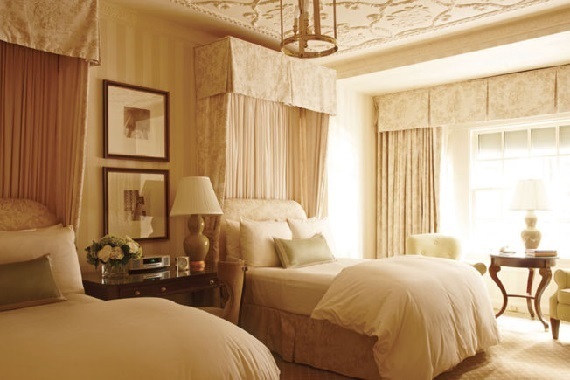 When you step into The St. Regis New York, you may forget that you're in New York City. 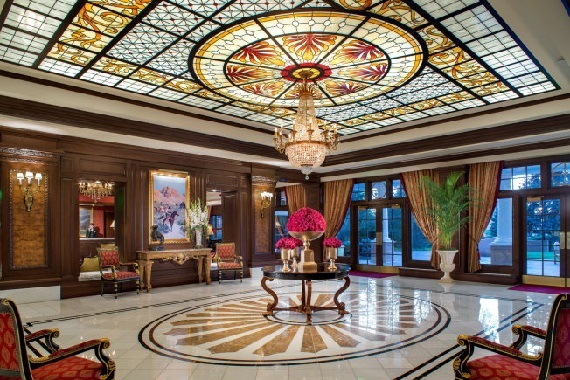 This Travel + Leisure World's Best Award-winner wows guests with its sophisticated atmosphere and its gilded interiors, which are decorated with marble, crystal chandeliers and art nouveau pieces. 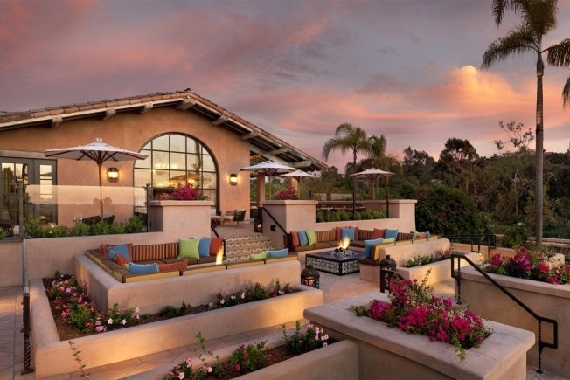 Covering 45 acres in the affluent neighborhood of Rancho Santa Fe, the Rancho Valencia Resort & Spa oozes luxury. Not only are guests treated to impeccably designed hacienda-style suites (each equipped with a fireplace, a patio and vaulted ceilings), but lodgers also have access to the resort's fleet of Porsches and the property's private, on-site wine cave. Moving up eight spots from 2015, The Little Nell is perfect for slope junkies. 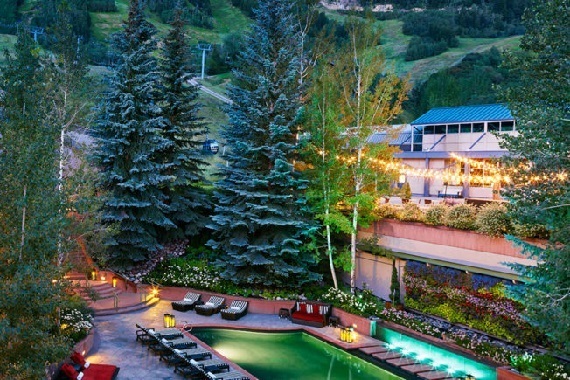 The hotel offers ski-in ski-out access as well as a ski concierge, a ski tuner and tours through 10 untracked runs on Aspen Mountain's backside. This Four Seasons property is popular with families for its many kid-friendly services, including an on-site ice cream man that stops by guest rooms so kids can create their own sundaes. 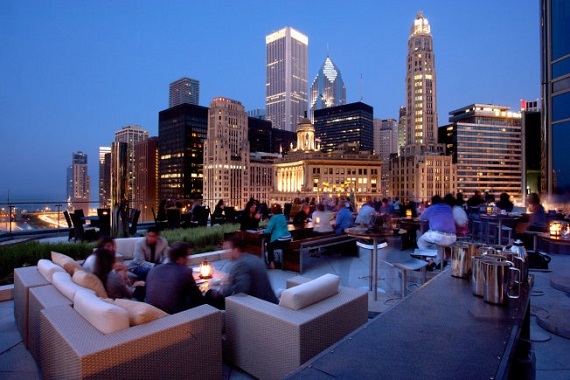 Plus, the property sits within a few blocks of the Magnificent Mile and Lake Michigan, a major draw for recent travelers. In New York City, there are two types of popular luxury hotels: those that offer Old World glamour and those that appeal to swanky modernists. The Park Hyatt New York is the latter, featuring contemporary furnishings and high-tech amenities, not to mention the largest guest rooms in New York City, which start at 530 square feet. 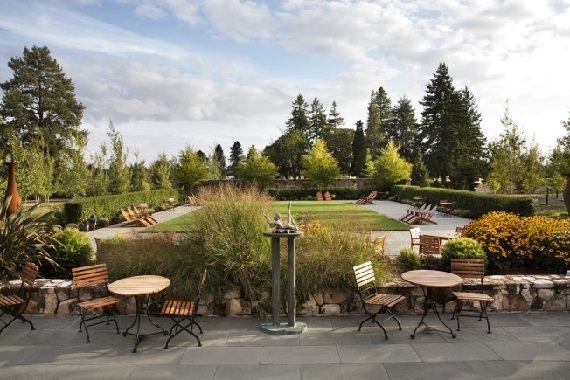 The Allison Inn & Spa in Newberg, Oregon, is a must-visit for those planning a trip to Oregon's wine country. Wine lovers will appreciate the inn's location near 200 wineries, while others can pamper themselves at the award-winning spa, indulge in fine dining at JORY Restaurant & Bar or explore the on-site sculpture garden. 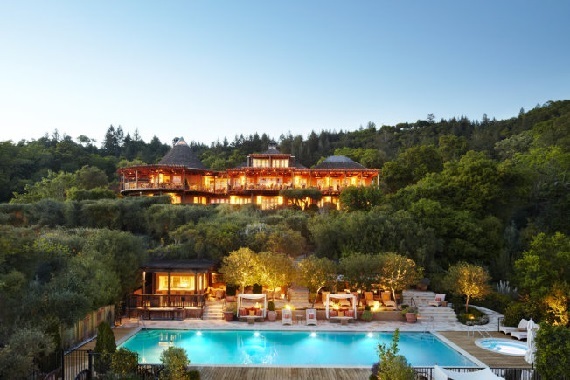 Jumping up a whopping 25 spots from 2015, Auberge du Soleil charms guests, with many travelers saying it is one of the best hotels they have ever visited. Overlooking the rolling hills of Napa Valley in Rutherford, California, Auberge du Soleil offers hillside villas, a private yoga pavilion, secluded picnic areas and a Michelin-starred restaurant. 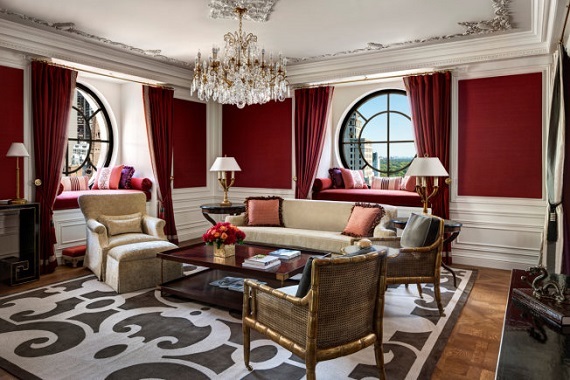 This Waldorf Astoria delights guests in more ways than one. The hotel's location near the lake and its tech-savvy amenities, including rooms outfitted with virtual surround sound systems and bathrooms appointed with TVs, are major crowd pleasers, but the most memorable aspect of the hotel for many guests is the Waldorf's excellent customer service. 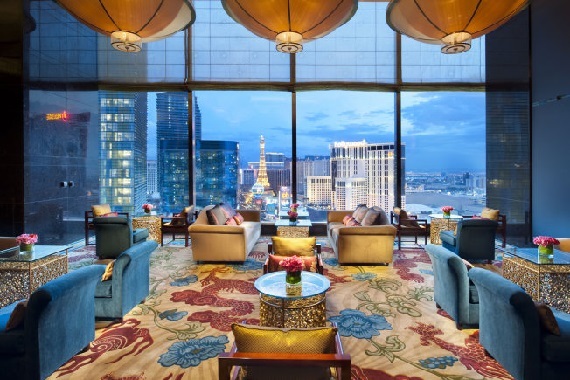 At this Mandarin Oriental outpost, you can enjoy Las Vegas without the glitz and kitsch. 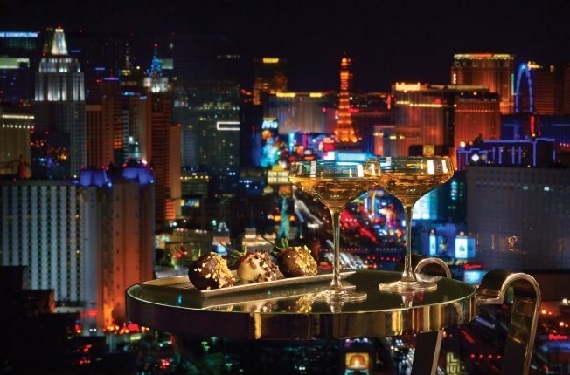 The epitome of modern luxury, the hotel doesn't feature a casino, but rather a two-story spa and sweeping views of the Strip from its spacious guest rooms. The Langham is not only a fixture on the Chicago Riverwalk - it's an icon all its own. Named a TripAdvisor Travelers' Choice Award recipient, The Langham leaves little to be desired from guests in terms of aesthetics, location and, most importantly, customer service. 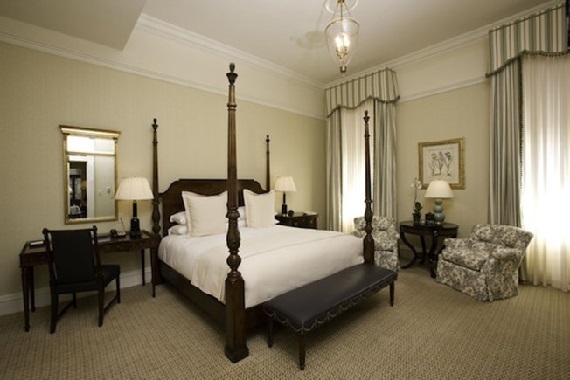 This critically acclaimed southern property offers memorable experiences for its guests. Situated along the riverfront in Bluffton, South Carolina, the 20,000-acre property is dotted with private cottages and Spanish moss-clad trees. Plus, it offers a nature preserve, walking trails, a marina and a Jack Nicklaus Signature course, among other features. 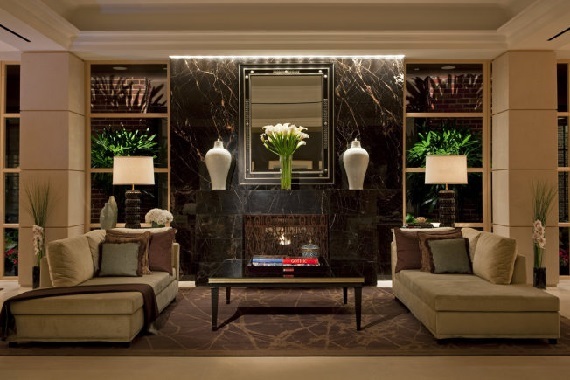 The Peninsula Beverly Hills is the only hotel in Southern California that has consecutively held AAA Five Diamond and Forbes Five Star titles since 1993. The property enjoys a central location at the intersection of Santa Monica and Wilshire boulevards, but what particularly leaves an impression on guests is the top-notch service. 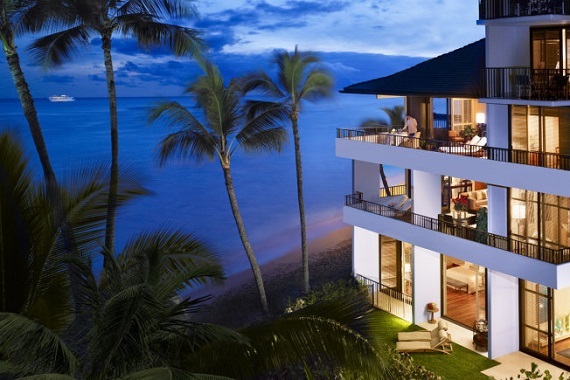 The Four Seasons Resort Hualalai is simply paradise. 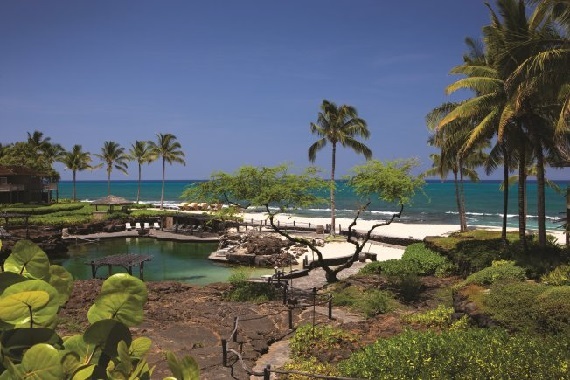 Sitting along the shores of the Big Island's stunning Kona-Kohala Coast, the resort boasts white-sand beaches, unique black lava landscapes and island-inspired decor. 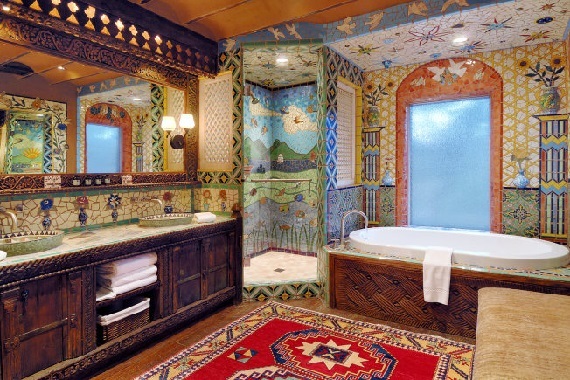 Its unique setting may be why it racked up many accolades, including a TripAdvisor Travelers' Choice Award and a place on the Condé Nast Readers' Choice list. 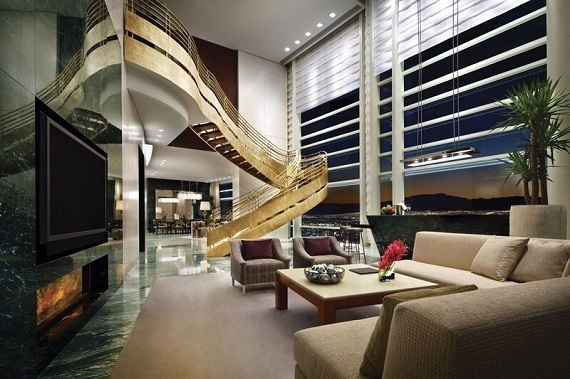 If you're looking to truly go big in Vegas, there's no place better than ARIA Sky Suites. The accommodations at this AAA Five Diamond property start at 1,050 square feet and are situated atop the Vegas skyline, giving guests unmatched views of the Strip through their floor-to-ceiling windows. Much like the city in which it resides, this nearly 100-year-old hotel has history lingering around every corner. 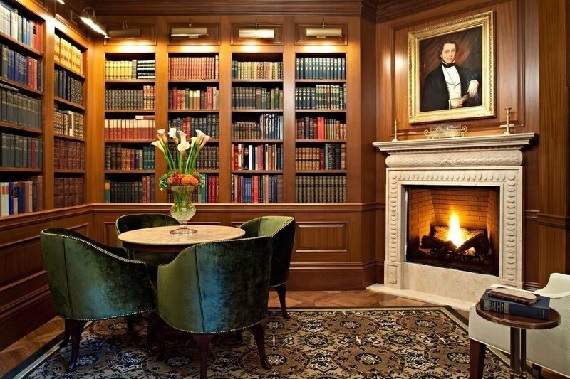 An ode to Thomas Jefferson, the downtown Washington, D.C. property displays Jefferson-signed artifacts throughout the premises, along with luxurious accommodations and five-star service. Previously No. 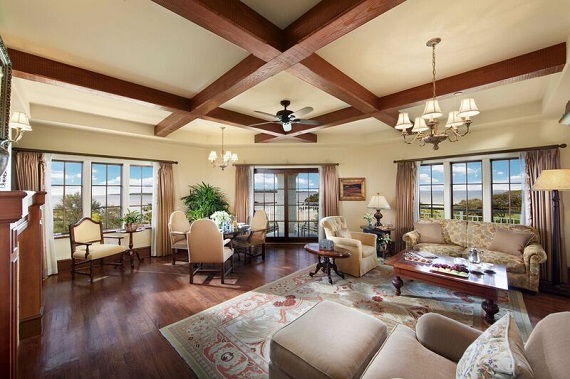 2 on last year's Best Hotels in the USA list, The Lodge at Sea Island outshines the competition in more ways than one. Outfitted with only 40 rooms, the property offers a luxurious hideaway tucked along Georgia's east coast. And when you take into account The Lodge's requisite Southern hospitality and lavish amenities, it's easy to see how it reigned supreme as the No. 1 hotel in the USA. --Rachel Center is an Associate Editor for the Travel section at U.S. News. You can follow her on Twitter or email her at rcenter@usnews.com.